Print-friendly syllabus (Microsoft Word) here. Students are introduced to major British writers from the late 18th through the early 21st centuries. Works of writers such as Wordsworth, Arnold, Dickens, Wilde, Woolf, Eliot, Yeats, Osborn, Lessing and Amis are studied in the context of their times and their literary and cultural values. Writing is an integral component of the course. Prerequisites: ENG 102 or ENG 109. This is an introductory course in British literature from the Romantic and Victorian periods to contemporary time. Students do not need to have taken ENG 205 (Early British Literature) before taking this course; however, it is assumed that students have successfully completed the prerequisites for this course, ENG 100/101 and ENG 102, or their equivalent. Therefore, students are expected to have the necessary background and experience in analyzing, discussing, and responding to literature, as well as the ability to conduct independent research and to write correctly documented research essays using MLA format. Students are cautioned that this course requires extensive reading, writing, and discussions; students not prepared to read (up to 150 pages/week), to write on a regular basis, and to take an active part in class discussions should not consider taking this course. Examine a variety of critical approaches to literature. Required: All required texts are available at the college bookstore. Anticipated bookstore prices are listed for each. Greenblatt, Stephen, et. al., eds. The Norton Anthology of English Literature, 9th ed. Package 2. 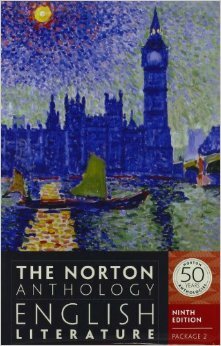 New York: W. W. Norton, 2012, ISBN 978-0-393-91301-9. Dickens, Charles. Hard Times, Dover Thrift Edition. 978-0486419206. Shelley, Mary. Frankenstein. Ed. 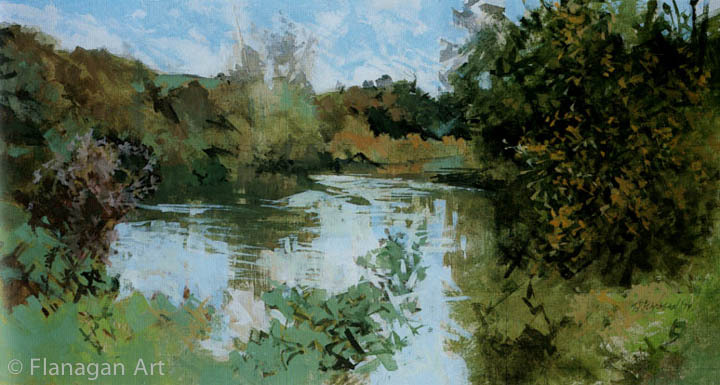 Maurice Hindle. New York: Penguin, 2003. ISBN 978-0-141-43947-1. Note: Any editions of Hard Times and Frankenstein are acceptable. However, those editions of Frankenstein based on the 1818 text, not the 1831, are preferred by most contemporary scholars. In addition, English majors—or anyone considering pursuing further literary studies—should consider purchasing the Norton Critical Editions version of Hard Times and Frankenstein, which contain authoritative texts, historical backgrounds and contexts, and a selection of useful criticism. Supplemental readings and materials may be assigned at the instructor’s discretion. or any other current college-level handbook including 2009 MLA updates. ---., ed. Romanticism and Consciousness: Essays in Criticism. New York: W. W. Norton, 1970. Chevalier, Tracy. Burning Bright. New York: Dutton, 2007. Denby, David. Great Books: My Adventures with Homer, Rousseau, Woolf, and Other Indestructible Writers of the Western World. New York: Simon & Schuster, 1996. (Available used, starting at $1.37, at Amazon.com***). Fulghum, W. B. 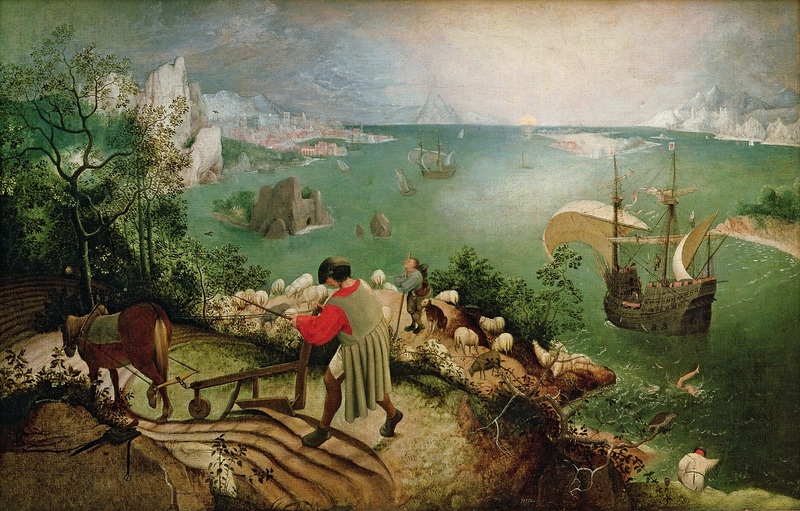 A Dictionary of Biblical Allusions in English Literature. New York: Holt, Rinehart & Winston, 1965. (Available used, starting at $3.99, at Amazon.com ***). Gaul, Marilyn. English Romanticism: The Human Context. New York: W. W. Norton, 1988. Glut, Donald. 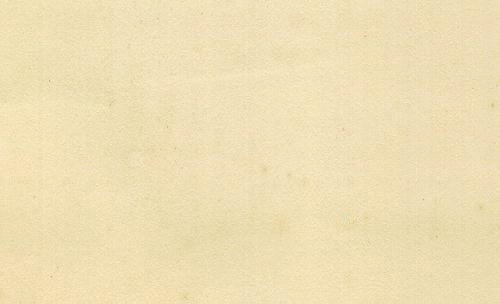 F. The Frankenstein Archive: Essays on the Monster, the Myth, the Movies, and More. Jefferson, NC and London: McFarland, 2002. (Available used starting at $24.95 at Amazon.com). Haining, Peter, ed. The Frankenstein Omnibus. Edison, NJ: Chartwell, 1994. (Available used starting at $2.94 at Amazon.com). Houghton, Walter E. The Victorian Frame of Mind, 1837-1870. New Haven and London: Yale U. P., 1985. Judge, Lita. Mary's Monster: Love, Madness, and How Mary Shelley Created Frankenstein. New York: Roaring Brook P, 2018. (Available used starting at $10.99 at Amazon.com). Shelley, Mary. Frankenstein: Classics Illustrated Deluxe Graphic Novels. Adapted by Marion Mousse. New York: Papercutz, 2009. (Available used starting at $3.19 at Amazon.com***). Utley, Stephen and Howard Waldrop. “Black as the Pit, from Pole to Pole.” New Dimensions 7, ed. Robert Silverberg. 1977. Republished in Eternal Lovecraft: The Persistence of HPL in Popular Culture. Ed. Jim Turner. Collinsville, IL: Golden Gryphon P, 1998. 243-278. (Available used starting at $10.14 at Amazon.com***). *Note that all major reading selections for the semester are available online, as indicated by links (see Schedule, below). However, students must have a copy of the appropriate text(s) with them for each class session, whether they have purchased the textbook or printed out hardcopy from the Internet; no excuses about computer or printer problems will be accepted. In addition, although the three longer works (Frankenstein- the 1818 ed., Hard Times, and The Importance of Being Earnest) are also available online, students who do not purchase The Norton Anthology of English Literature should obtain paperback versions or library copies. ** Recommended additional texts are not required purchases, and have not been ordered for the course; however, they provide—depending on the course— alternative readings, historical and cultural backgrounds, criticism, personal literary responses, or entertaining revisions. Students who find themselves becoming deeply interested in one or more of the required readings may find these interesting and/or useful. Texts indicated with a dagger (†) are only provisionally recommended, as I have not read these works yet, although they have received excellent reviews or recommendations. As per the Nassau Community College attendance policy, “Students are expected to attend all classes. Absences due to illness or for other serious reasons may be excused at the discretion of the instructor. Students are advised that absences in excess of 10% of the total class meetings may result being dropped from the course” (page 67 in the 2014-2015 college catalog). Students must not only attend every class and lab meeting, but also arrive on time, be prepared, and take an active part in class (see Participation, below); students may be required to sign in each class session to verify their attendance. Excessive absences or latenesses will adversely affect your grade. Students unable to attend class should contact the instructor regarding their absence; in addition, students are responsible for submitting all work on time regardless of absences. In addition, once students get to class, they are expected to stay in the classroom until the class is over. Leaving class early or getting up in the middle of class is considered disruptive behavior and should happen only in extreme emergencies. Students are expected to be present, prepared, attentive, and active participants in the learning process. As such, any distracting or inappropriate behavior or unauthorized use of electronic devices is strictly prohibited. Eating, sleeping, texting, or other inappropriate behavior will result in your being asked to leave the class. According to the “Student Code of Conduct,” “The College is committed to providing an atmosphere in which students have freedom to learn and engage in the search for truth, knowledge, and reason in accordance with the standards set forth by the academic community. Conduct that adversely affects a student’s responsible membership in the academic community shall result in appropriate disciplinary action.” Appropriate disciplinary action may include but is not limited to probation, suspension, and expulsion from the college. See the Nassau Community College “Classroom Management Policy” (page 24-5 in the college catalog) and “Student Code of Conduct” (pages 34-9 in the college catalog). Plagiarism includes copying or paraphrasing another’s words, ideas, or facts without crediting the source; submitting a paper written by someone else, either in whole or in part, as one’s own work; or submitting work previously submitted for another course or instructor. Plagiarism, cheating, or other forms of academic dishonesty on any assignment will result in failure (a grade of zero) for that assignment and may result in further disciplinary action, including but not limited to failure for the course and expulsion from the college. See the Nassau Community College policy on “Academic Dishonesty and Plagiarism” (page 20 in the college catalog). For each of the assigned essays and projects, a topic or list of topic choices will be provided. Your work must be on one of the assigned topics for that assignment or developed in consultation with the instructor* or it will receive a grade of “F”. *Note: You must obtain prior approval to write on topics other than those listed below; speak to me before or after class to set up an appointment during my office hours. Approval must be obtained at least one full week in advance of the due date. See details below. All writing assignments must be received by the instructor on or before the due date, by the beginning of the class period, as indicated on the schedule, below. Essays submitted by email or otherwise submitted late will not be accepted; see below. All at-home work must be typed (in 12-point Times New Roman), double-spaced, with one-inch margins, and stapled when submitted. In-class work must be neatly printed in blue or black ink on loose-leaf composition paper or in bluebooks provided by the instructor and double-spaced§. All essays must also include a proper heading (see Purdue Online Writing Lab's Formatting and Style Guide), including Word Count; have an appropriate, original title; contain a clear, explicit, assertive, objectively worded thesis statement (thesis statements must be underlined); and (unless otherwise indicated) avoid use of I or you throughout. Finally, all work should be grammatically correct, free of errors in mechanics, grammar, usage, spelling, and documentation, and will be evaluated according to the Model for Evaluation of Student Writing. Please refer to the Paragraph Outline or Essay Outline and Revising and Editing Checklist for additional assistance. Also, one would think that this would not even need to be stated, but read the work or works about which you are writing, and read them carefully! Do not rely upon your general impressions based on what you think was said in class, or on what you read online. There is no reason for your essays to contain factual errors. Please feel free to communicate any concerns or questions to me before the essays are due; I will be available to meet with any student who needs assistance or additional instruction. Please speak to me before or after class or email me to set up an appointment during my office hours. Marshall, Jon C. and Jerry M. Powers. “Writing Neatness, Composition Errors, and Essay Grades.” Journal of Educational Measurement 6.2 (1988): 306-324. All assignment deadlines and scheduled exam dates are provided at the beginning of the semester; therefore, no make-up opportunities will be offered or late work accepted, except under extraordinary circumstances with appropriate documentation, and late work will be penalized 10% for each day or portion thereof it is submitted after the due date. Note: As all work is due at the beginning of the class period, this includes work submitted on the due date after class has begun. Excuses such as “crashed computers,” “lost flash drives,” or “empty printer ink cartridges” will not be accepted. All essays or work should be saved both on your computer’s hard drive and again on removable storage device as well as uploaded to cloud storage (OneDrive, et cetera). Students should also keep backup copies of all work submitted. If you have a physical, psychological, medical, or learning disability that may impact your ability to carry out assigned course work, I urge that you contact the Center for Students with Disabilities (CSD), Building U. (516 572-7241). The counselors at CSD will review your concerns and determine reasonable accommodations you are entitled to by the Americans with Disabilities Act and Section 504 of the Rehabilitation Act of 1973. All information and documentation of disability remain confidential. As this class will combine both lecture and discussion, students are expected both to attend every session and to take an active part in class—joining in discussions and raising questions. Discussion is one of the best ways to clarify your understandings and to test your conclusions; therefore, it is imperative that all students participate regularly in order that we may together discover what each selection “means” to us. Open discussion always involves personal exposure, and thus the taking of risks: your ideas may not be the same as your fellow students’ or even the instructor’s. Yet as long as your points are honest and supportable, they will be respected by all of us in the classroom. Questions, discussion, disagreement, and laughter are all encouraged in this class (However, ridicule or scoffing is never tolerated). With the exception of the first day, class may begin with a short (five- to ten-minute) quiz or writing assignment on the reading(s) for the day, at the instructor’s discretion. Quizzes missed due to tardiness may not be made up. At the end of the semester, the lowest quiz grade will be dropped. Total number of quizzes during the semester will determine the point value of each; that is, if 11 quizzes are given (lowest quiz grade will be dropped), each quiz is worth up to one full point. Students will complete two essays during the semester; topics should be selected from the list of suggestions provided (see Essay Topics, below) or developed in consultation with the instructor. Each should be at least five to seven pages (1250 words minimum), with a cover page and Works Cited page (cover page and Works Cited do not count toward the five- to seven-page requirement), and stapled when submitted. The paper must be argumentative (persuasive), with a clear, explicit, and assertive thesis statement (underlined), and must use a minimum of five to seven sources, including at least one to three primary sources (the text or texts discussed) and three to five secondary sources. Essays should be grammatically correct, free of errors in mechanics, grammar, usage, spelling, and documentation, and will be evaluated according to the Model for Evaluation of Student Writing. Please refer to the Essay Outline and Revising and Editing Checklist for additional assistance, as well as Writing About Literature, Writing a Literature Paper, and Getting an A on an English Paper. Students will complete two exams: an in-class midterm and a final during the designated final exam period. These exams will each evaluate students’ recognition and comprehension of material studied during the previous weeks, covering specific texts, literary themes, and cultural and historical backgrounds. The exams may combine objective questions and short essay answers, and students may be entitled to use notes or textbooks for the essay portion of the exams. Poetic Recitation (2-4 points Extra Credit): Students may select and memorize one of the selections below to be recited in front of the class for extra credit. Memorization serves the student’s skills of reading lines carefully and making judgments about how particular passages can be interpreted. A single recitation is worth 2 points extra credit; a second recitation will earn an additional 2 points. There will be opportunities for recitation twice during the semester, on the day of the midterm and final exams; students must sign up for these dates at least one week in advance, as sufficient time must be allocated for completion of the exam. Bedlam will present Shaw's Pygmalion, directed by Eric Tucker, beginning March 12. The six-week run will open March 27, with a closing date set for April 22. George Bernard Shaw's Pygmalion tells the story of Professor Henry Higgins and Cockney flower seller Eliza Doolittle. Higgins makes a bet that he can take Eliza from the gutters of London and pass her off as a society lady, and soon soon discovers that the task involves more than simply teaching her the right dialect in which to speak. Note: All readings below are required, and must be completed by the day indicated; the only exceptions are those indicated with an asterisk (*), which are recommended additional readings or resources. Red text indicates due dates or links to assignments; Blue text indicates links to assignments, resources, or online versions of texts (Note: While every effort is made to verify the accuracy and usefulness of these links and their contents, no guarantees are made. Please notify me of any broken or outdated links at brian.murphy@ncc.edu). *See also, Chevalier, Tracy. Burning Bright. New York: Dutton, 2007. *See also, Goss, Theodora. “Singing of Mount Abora.” Lightspeed Science Fiction and Fantasy July 2012.
Review of The Friendship: Eder, Richard. "Coleridge was Wordsworth’s Albatross." New York Times 15 March 2007: E9. Theodora Goss, “Singing of Mount Abora.” Lightspeed Science Fiction and Fantasy July 2012. Mary Shelley (981-3): Frankenstein. Read at least Preface - 1818 ed; Introduction - 1831 ed; Vol. I.
Dirda, Michael. 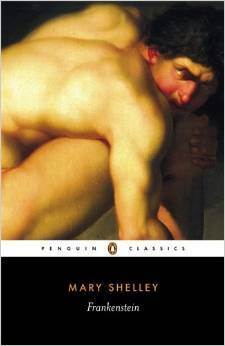 “Mary Shelley.” Classics for Pleasure. Orlando, FL: Harcourt, 2007. 185-88. LaValley, Albert J. “The Stage and Film Children of Frankenstein: A Survey.” The Endurance of Frankenstein. Eds. George Levine and U. C. Knoepflmacher. Berkeley: U of California P, 1979. 243-248. Gould, Stephen Jay. “The Monster’s Human Nature.” Dinosaur in a Haystack: Reflections in Natural History. New York: Harmony, 1995. 53-62. Hoobler, Dorothy and Thomas Hoobler. The Monsters: Mary Shelley and the Curse of Frankenstein. New York: Little, Brown, 2006. Utley, Stephen and Howard Waldrop. “Black as the Pit, from Pole to Pole.” New Dimensions 7, ed. Robert Silverberg. 1977. Republished in Eternal Lovecraft: The Persistence of HPL in Popular Culture. Ed. Jim Turner. Collinsville, IL: Golden Gryphon P, 1998. 243-278. Zakharieva, Bouriana. “Frankenstein of the Nineties: The Composite Body.” Shelley, Mary. Frankenstein, 2 ed. Ed. Johanna M. Smith. Boston: Bedford, 2000. 416-431. * See also, Gould, Stephen Jay. “Red in Tooth and Claw.” Natural History 101.11 (Nov. 1992): 14+. Reprinted as “The Tooth and Claw Centennial.” Dinosaur in a Haystack: Reflections in Natural History. New York: Harmony, 1995. 63-75. * See also, Chandler, Alice K. A Dream of Order: The Medieval Ideal in Nineteenth-Century Literature. London: Routledge & Kegan Paul, 1971. * See also, Rudder, Christian. Dataclysm: Who We Are (When We Think No One's Looking). [New York]: Crown, 2014. Boyd, William. “Why World War I Resonates.” New York Times 22 Jan. 2012. MacDonald, Lyn, ed. Anthem For Doomed Youth: Poets Of The Great War. London: Folio Society, 2000. Print. Fawbert, David. Connecting with Seamus Heaney. Information about The Tollund Man and, more generally, “Bodies of the Bogs.” Archaeology. Archaeology.org May 2010. Web. as well as his obituary: “T.P. 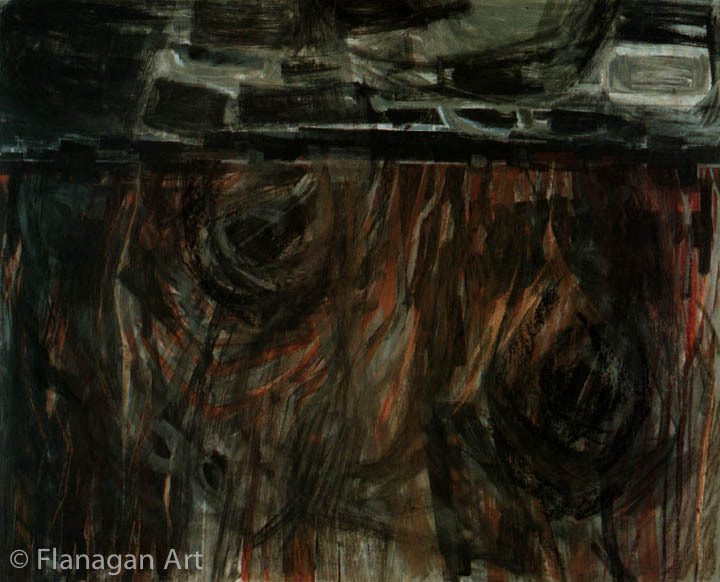 Flanagan: Artist and Teacher Whose Work Inspired Seamus Heaney.” The Independent (U.K.) 19 April 2011. Web. For each of the assigned essays, a topic or list of topic choices is provided. Your essay must be on one of the assigned topics for that assignment or developed in consultation with the instructor. All essays must be submitted on or before the due date, by the beginning of the class period; late work will not be accepted. For each of the essays, select one of the topics to discuss in a clear, well-developed, coherent, thoughtful, and properly documented (MLA format) argumentative essay of at least five to seven pages (1250 words minimum), with a cover page and Works Cited page (cover page and Works Cited do not count toward the five- to seven-page requirement). The paper must be argumentative (persuasive), with a clear, explicit, and assertive thesis statement (underlined), must use a minimum of five to seven sources: up to three primary sources and a minimum of three to five secondary sources. Secondary sources must be scholarly criticism or analysis, not summaries, reviews, or “analysis” from sites such as e-Notes, SparkNotes, Wikipedia*, 123HelpMe, or Gradesaver.com; instead, use the library resources, including the available electronic databases such as Academic Search Complete, Literary Sources through Artemis, Literature Resource Center, Bloom’s Literary Reference, Literature Criticism Online, Humanities Source, Project MUSE - Standard Collection, MagillOnLiterature Plus, and JSTOR Arts & Sciences I Current Collection to locate appropriate sources. To access the databases from home, click on the individual database link. Then, when prompted, enter your username (N #) and password (PIN). You must include at least one short quotation, one long—block—quotation, and one paraphrase, and these sources must be properly documented (utilizing MLA format), and integrated into your writing smoothly and correctly. See also Research Paper checklist. Essays must contain quotations from or other references to your sources, and these references should be used to support your assertions about the text; you must include at least one short quotation, one long—block—quotation, and one paraphrase, and these sources must be properly documented (utilizing MLA format), and integrated into your writing smoothly and correctly. Essays must be submitted in a folder, including copies of all secondary sources used. Be sure to print out or photocopy all secondary sources, and highlight all relevant passages, whether quoted, paraphrased, or summarized. Failure to submit a complete folder according to these instructions will be grounds for failure on the assignment. In addition, plagiarism, either in whole or in part, will result in automatic failure (a grade of zero) for the assignment. Class Plagiarism Policy (on syllabus), as well as the Nassau Community College Policy on Academic Dishonesty and Plagiarism (page 63 in the college catalog). Also, one would think that this would not even need to be stated, but read the work or works about which you are writing, and read carefully! Do not rely upon your general impressions based on what you think was said in class, or on what you read online. There is no reason for your essays to contain factual errors. 1. Blake’s Songs of Innocence and Songs of Experience present several complementary pairs of poems (for example, “The Lamb” and “The Tyger,” “The Chimney Sweeper” and “The Chimney Sweeper,” “Holy Thursday” and “Holy Thursday”). How do these and other such paired poems, not only those discussed in class, illustrate Blake’s thesis that they show “Two Contrary States of the Human Soul"? You may include in your discussion Blake’s engravings in relation to this thesis. 2. There is often a sudden change of mood or emotion in Wordsworth’s poetry. Explain why Wordsworth uses this technique, citing specific examples from several different works. 3. Compare ideas of nature and natural processes in several of the Romantic poets; for example, does Keats use nature as a teacher the same way Coleridge and Wordsworth do in their poems? Or, compare Shelley’s “Ode to the West Wind” and Keats’s “To Autumn.” Explain your answer by using specific references to poems by each author. In what way does Shelley draw upon the Prometheus myth and/or Paradise Lost in her novel? Why? Topic: the general topic selected. Rationale: why you have chosen to research and write about this particular topic. Focus: a narrowed form of the subject, and the issue, question, or debate involved. Opinion: your subjective opinion on the debate or issue. Thesis: your opinion, worded objectively. Note: No essays on alternative topics will be graded without the approved topic proposal attached. 1. How does historical context shape the Victorian poets? That is, how are their themes, their understanding of poetry, their attitude towards life shaped and reflected by their era, and how does this distinguish them from the Romantic poets? 2. In the nineteenth century, a number of poets adapted (or attempted) the Arthurian legends: not only Tennyson (The Idylls Of The King) and Morris (“The Defence of Guenevere”), but also Matthew Arnold, A. C. Swinburne, et cetera. Compare the treatment of one or more specific Arthurian legends in several of the Victorian poets; for example, how is the story of Tristan and Iseult rewritten by various poets? Or, how does Morris’s treatment of Guenevere differ from Tennyson’s? 3. Two concerns of the Victorian period were industrialism and its effects and “The Woman Question,” the debate about gender and the role of women. Compare the treatment of one of these themes in at least two different works not discussed in class. 4. In The Metaphysical Poets (1921), T. S. Eliot states that the modern poet “must become more and more comprehensive, more allusive, more indirect, in order to force, to dislocate if necessary, language into his meaning.” Explain how Eliot and/or other modernist poets either adhere to or violate this principle, citing specific examples from several different works. 5. The modernist period is, chronologically, closer to the Victorian age than to the early twenty-first century. Select a pair of nineteenth-century (Romantic or Victorian) and twentieth-century works and discuss their continuities and differences. In what respects, if any, is the twentieth-century work closer to our own era than the corresponding nineteenth-century work? Some possible pairings include Keats’s “Ode on Melancholy” and Hardy’s “The Darkling Thrush,” Arnold’s “Thyrsis: A Monody” and Auden’s “In Memory of W. B. Yeats,” Wordsworth’s “Ode: Intimations of Immortality” and Yeats’s “Among School Children,” and Wollstonecraft’s A Vindication of the Rights of Woman and Woolf’s A Room of One’s Own. 6. An analytical essay of your own choosing, developed in consultation with the instructor, involving one or more works from the Victorian period, the twentieth century, or the twenty-first. As above, you must discuss the topic with me and you must develop and submit a clear, well-written, one- to two-page topic proposal for approval. The deadline for submission of proposals is Wednesday, 8 April. As above, no essays on alternative topics will be graded without the approved topic proposal attached. In a well-developed paragraph, identify each passage and discuss its significance. Include as much of the following as possible: author, title, speaker, or character described, situation, and how the passage is significant in the context of the work itself and/or its connection to other works, ideas, or themes. Be sure to focus carefully and avoid plot summary: do not merely retell the story. Paragraphs will be evaluated for the quality of writing, ideas, and expression, not for the ability to regurgitate the instructor’s comments. Extra Credit: You may identify up to two additional passages, 10 points each. Note: This portion is subject to change. It may become select 5, at 15% each, or 6 at 12.5%, depending on class discussion.